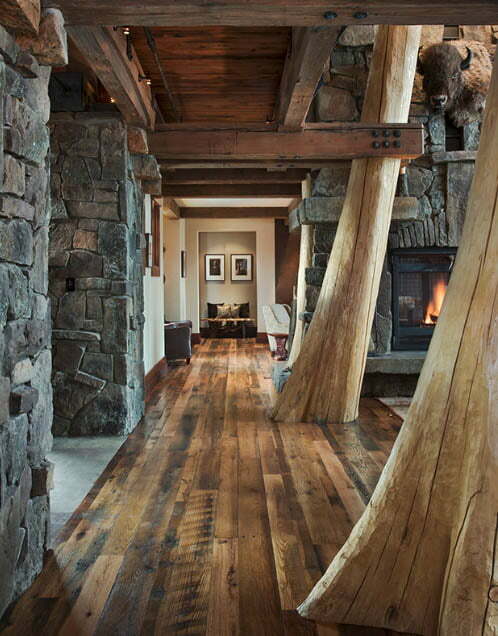 Words cannot begin to describe this jaw-dropping lodge. 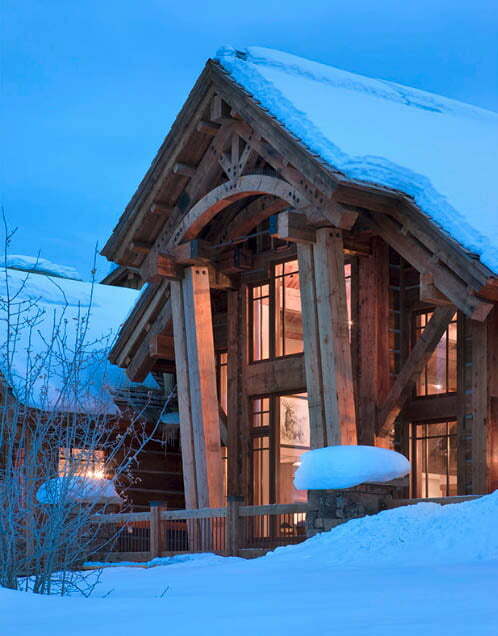 Designed by Centre Sky Architecture Ltd., the truly magnificent Elk Ridge Lodge looks like a wooden castle in the snow. It spreads out across the ridge where it stands on and offers an amazing view of the mountains. 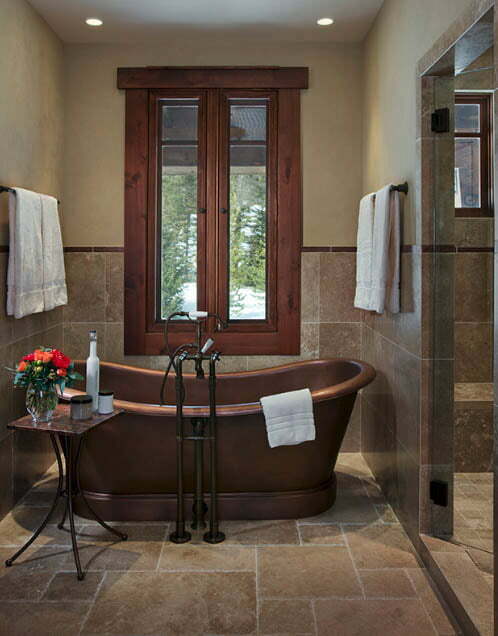 With a sense of presence, quality of detail and durability in mind, this building is designed as a Montana Legacy family home. 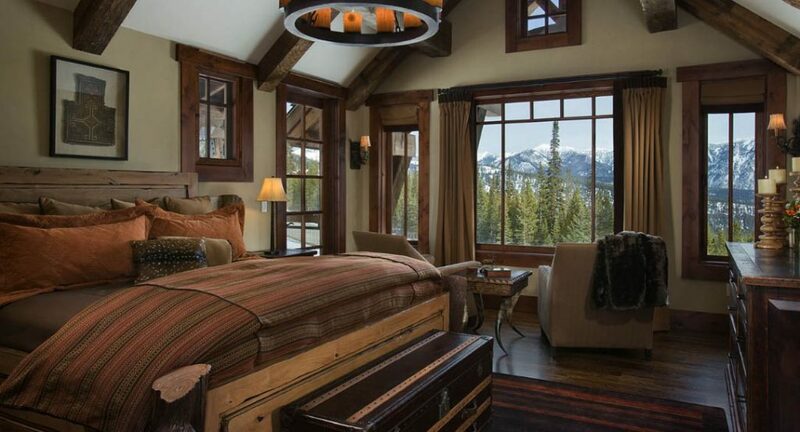 The Elk Ridge Lodge is situated on a high ridge on top of the Spanish Peaks Club in Big Sky, Montana. Various architectural techniques were employed to fit the house naturally into its environment. Design elements were meticulously thought of and chosen in order to assure that the house stays true to its “elegant ranch” vibe. 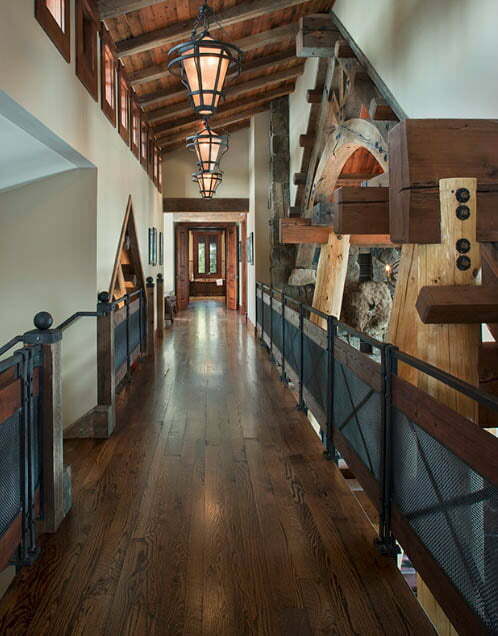 This home harkens back to more dated times with its use of historic wood planking and the many fixtures that seem to belong to medieval times. The house’s structure makes sure not to set aside the many fascinating views that surround it as there are a number of exterior decks and patios. 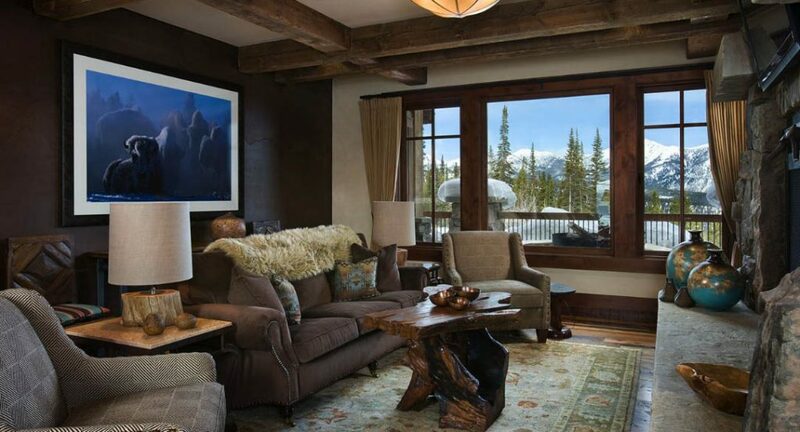 The lodge is spacious and roomy and applies an open concept. 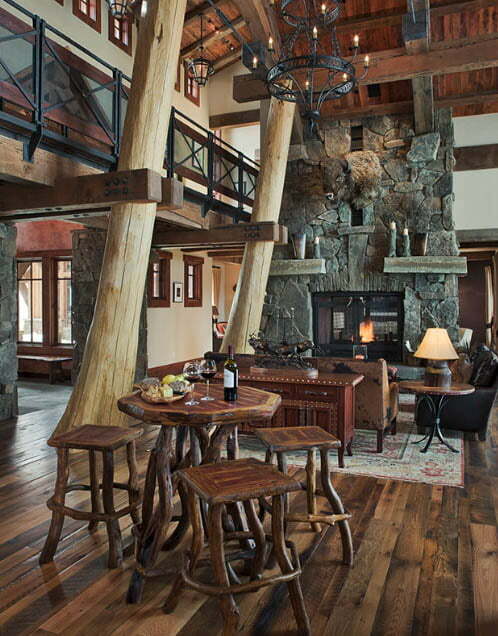 The great room, kitchen, and den are connected to each other, and some parts of the upper floor are open to the lower level. Chimneys are, of course, built into the lodge to help keep its residents cozy and warm amid the chilly snow that is dominant in its setting. There are a lot of bedrooms and bathrooms available, which is perfect in case many people stay here. 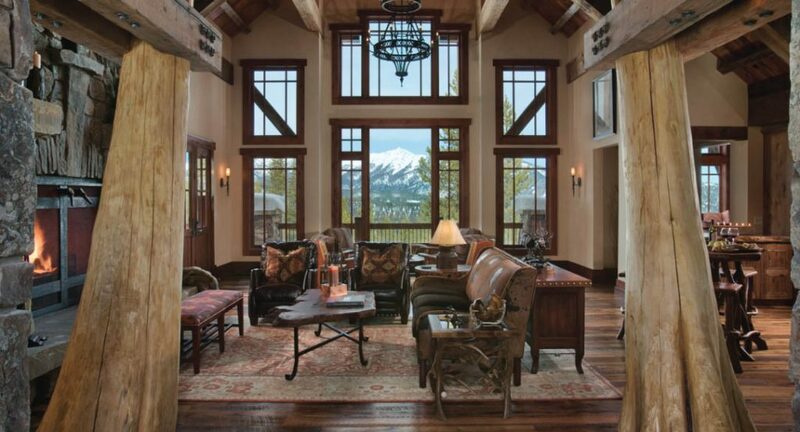 This lodge is a splendid work of art that serves a purpose. 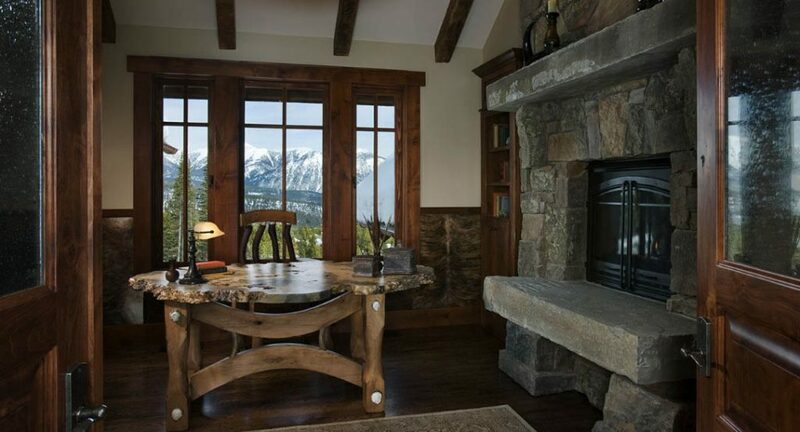 The house itself is impeccable and the view of the mountains that come with it is breathtaking. 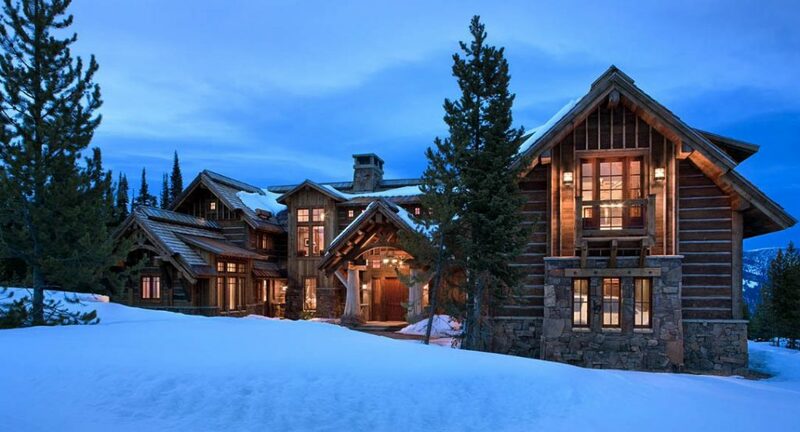 It is clear that the designers and contractors behind the completion of the Elk Ridge Lodge have created not only a house but also an exceptional testament to architecture and construction. 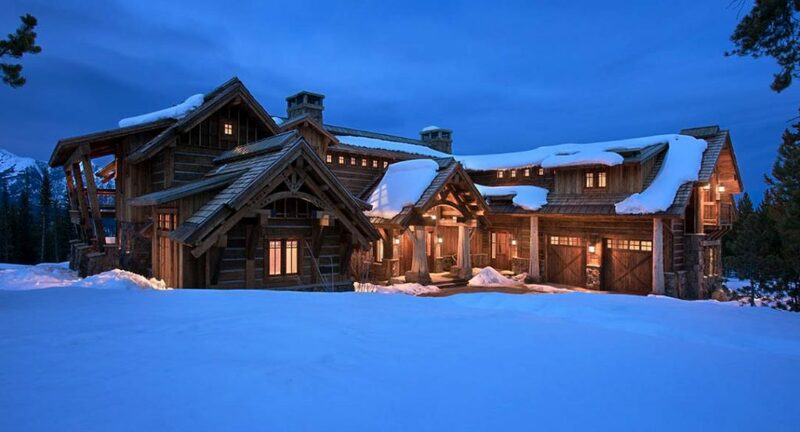 Contractor: Centre Sky Architecture Ltd.
Elk Ridge Lodge is far from quaint in this great shot of its massiveness. 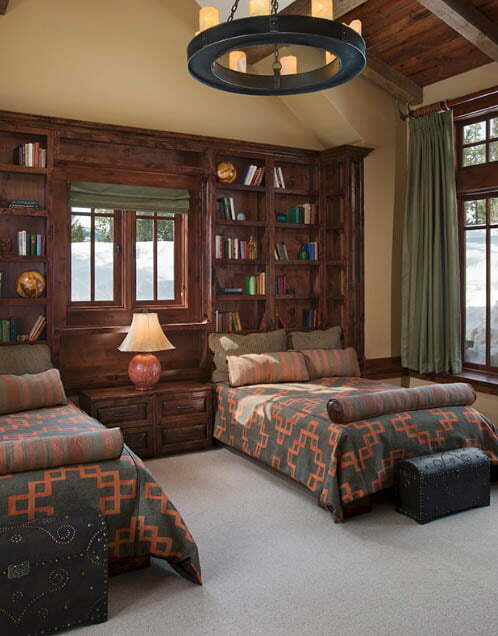 The lights in the house make it appear very inviting. 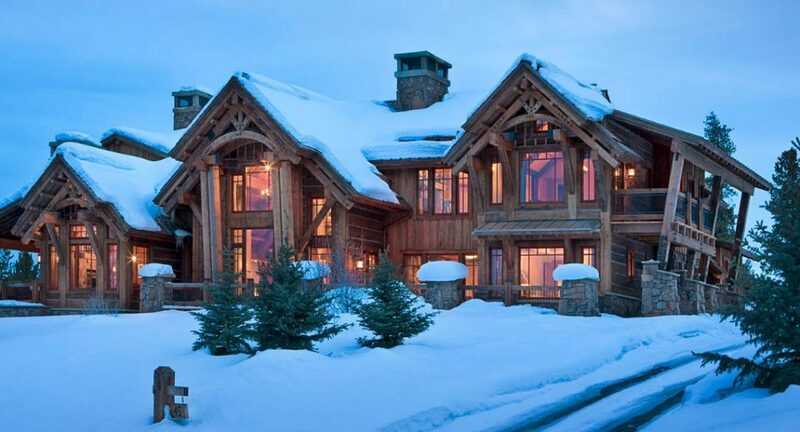 The lodge looks like the perfect place to rest amid the cold weather. These wooden pillars are huge. 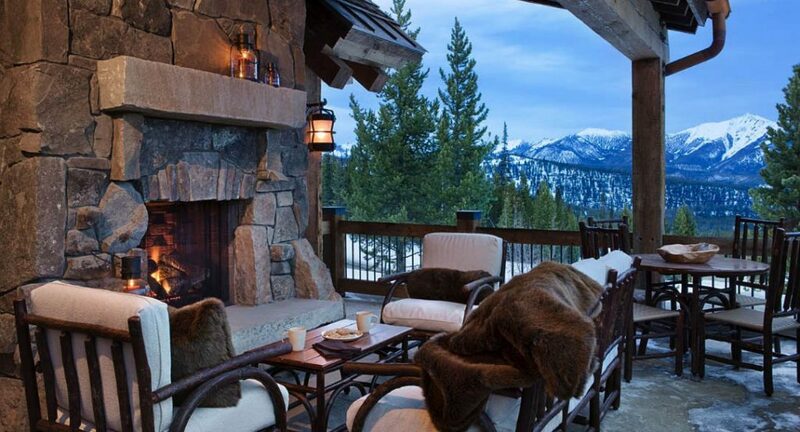 You can lounge by the fire and enjoy the view of the mountains at the same time. This bridge suits the house well. 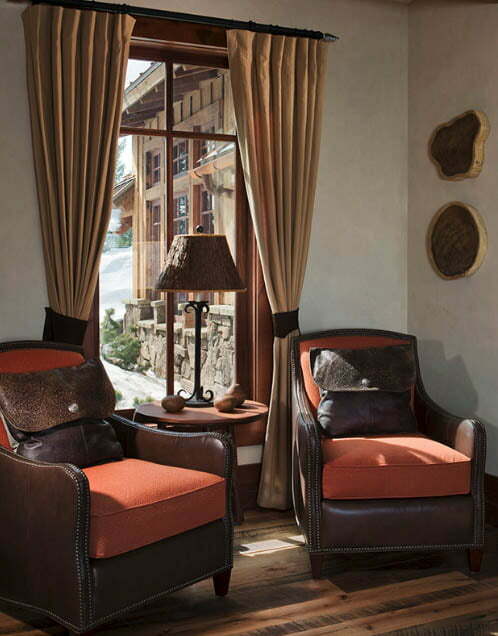 In this picture, you can see both the elegance of the interior of the lodge and the scenic view outside. 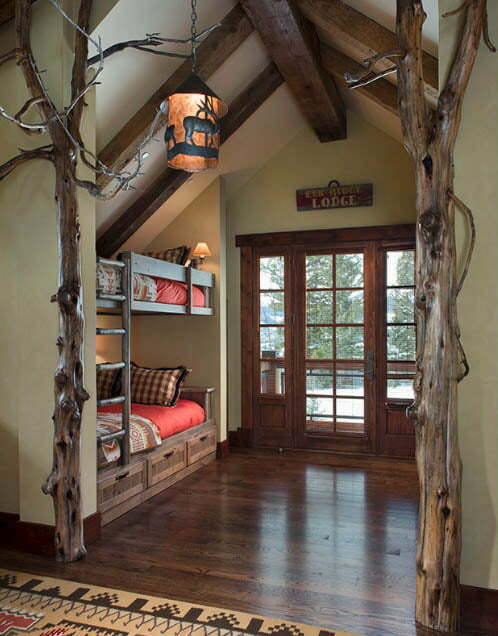 The open concept of the house makes it appear very roomy. 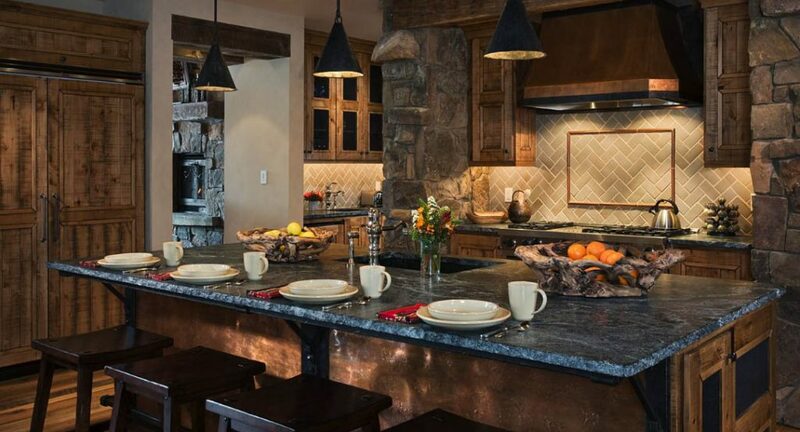 The kitchen shows the contrast between wood and stone. 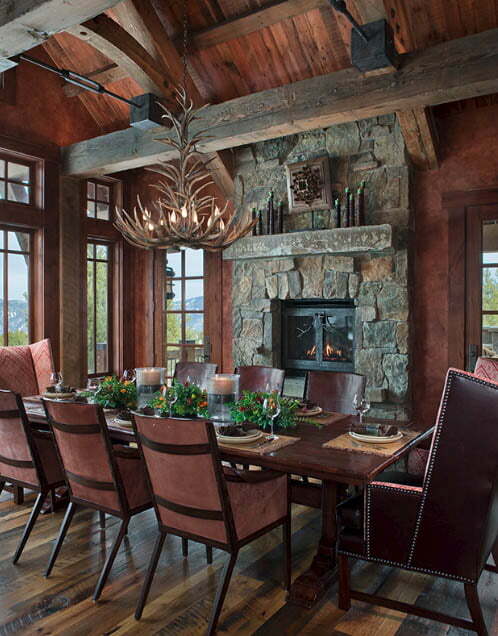 The dining room features a long table, a chimney, and a beautiful view. Pillars of both stone and wood are seen here. 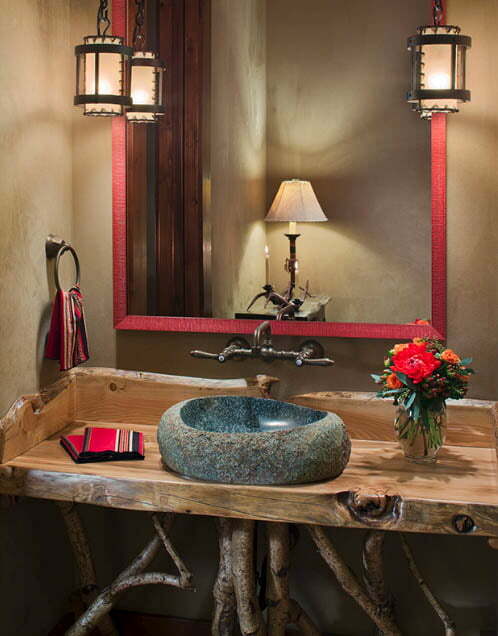 You can relax by yourself or with a friend in this windowed area of the lodge. 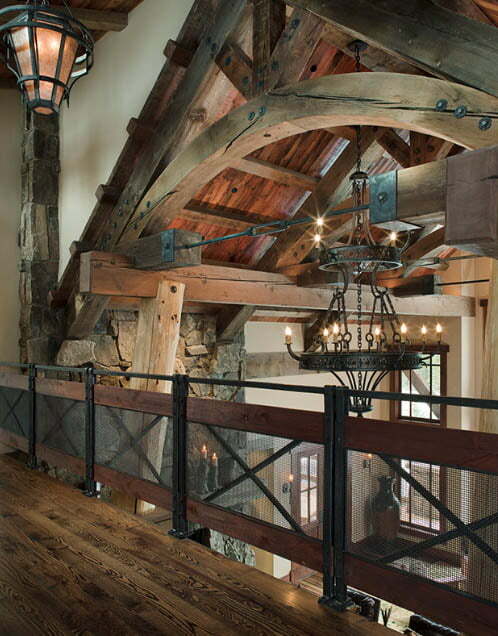 Source: Centre Sky Architecture Ltd.
Beautiful Timber Frame Dutch Saltbox w/ 3 Bedrooms! © 2018 Copyright by Top Timber Homes. All rights reserved.